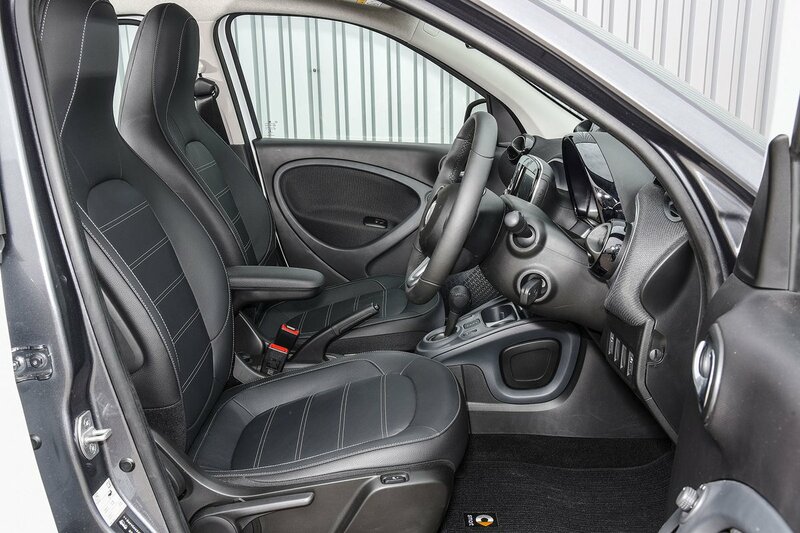 Smart Forfour EQ Boot Space, Size, Seats | What Car? Happily, getting in and out of the Forfour’s front seats is easy, thanks to the car’s wide-opening doors, large apertures and low sills. There’s a decent amount of leg room, too, while head room – even with an optional panoramic glass roof fitted – is generous enough for those over six feet tall. Next to the gearlever are two cupholders and some coin slots for parking change, but there’s not a lot of storage space for odds and ends in the narrow door bins and titchy glovebox. The Forfour’s small rear doors make getting in and out a bit awkward, but once you’re inside, there’s just enough leg room for two average-sized adults in the back. However, they will be disgruntled if you’ve ordered the panoramic glass roof, because while head room is adequate without it, with it, anyone tall will struggle. 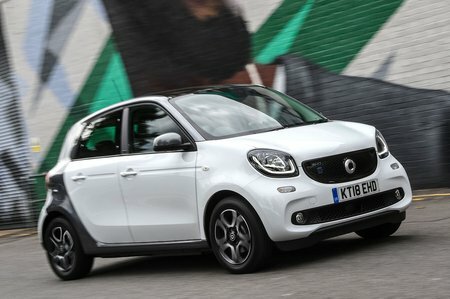 And like the e-Up, the Forfour is a strict four-seater, so if you need an electric car with five seats, go for the Zoe. The front passenger seat doesn’t have a height adjuster, and like the driver’s seat, and you can only change the angle of the backrest with a ratcheted lever that offers limited positions. 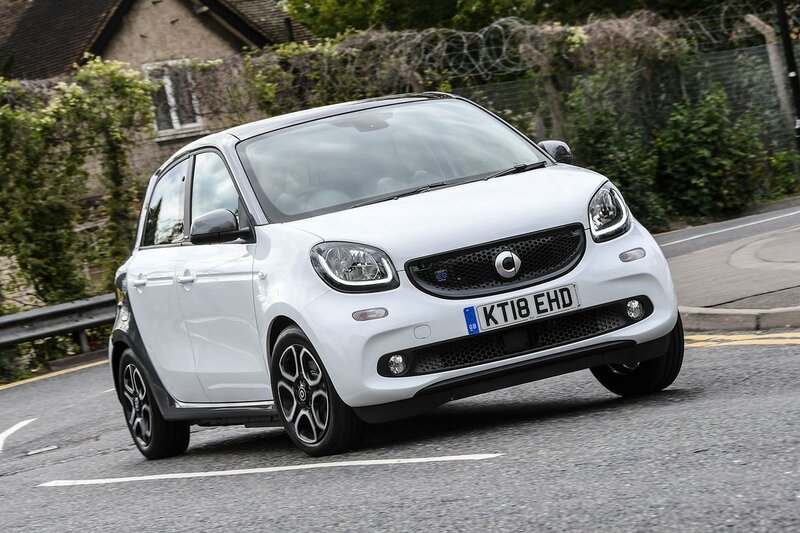 Yet Smart has clearly thought about the usability of the rear seats. You can flip over the bases and remove the rear centre console to create extra storage without needing to fold the rear seatbacks down. You can still fold them if necessary in a 50/50 fashion, though, leaving a completely flat floor. Its rivals give you a stepped floor that’s more awkward if you’re loading something long and heavy. What about the boot in its ‘normal’ mode, with all the seats in place? Well, it’s pretty poor, offering space for a few shopping bags or weekend luggage only. In fact, there’s less space than in the e-Up, which itself isn’t massive, and far less than in the Zoe, which will happily manage a pram.